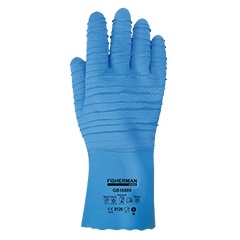 Gloves for the different processes in the Fishing and Seafood industry, waterproof with different lengths, different coatings for better grip, metal mesh, protection against freezing and cold water in general. 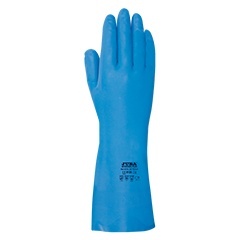 Cotton/Kevlar® shell fully double PVC coating. 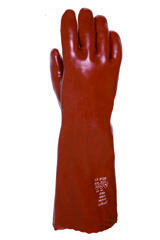 PVC coated gauntlet with lining. 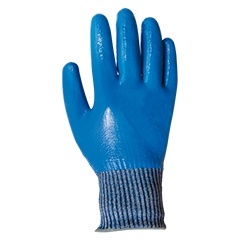 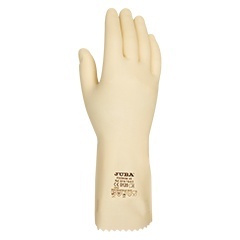 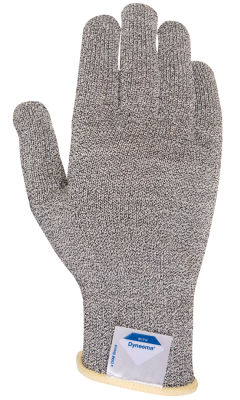 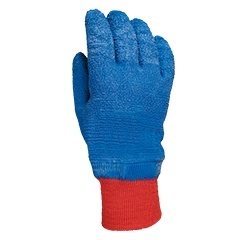 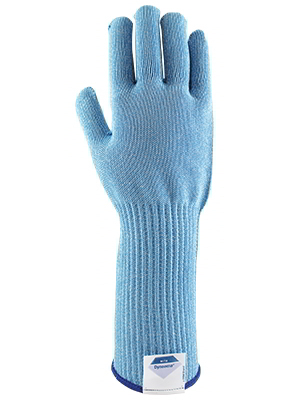 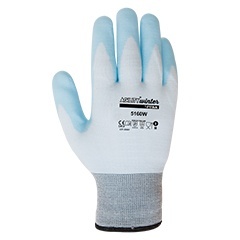 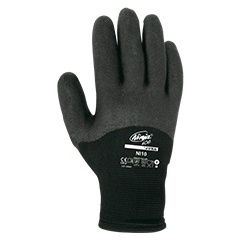 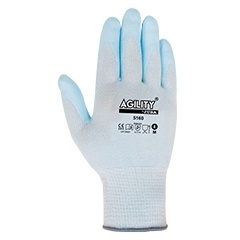 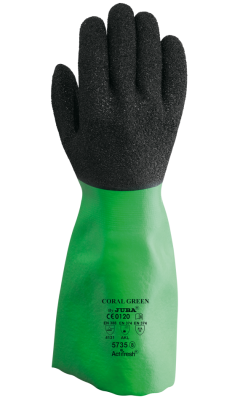 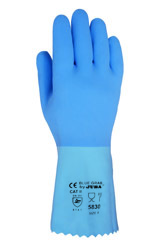 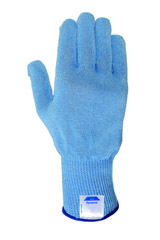 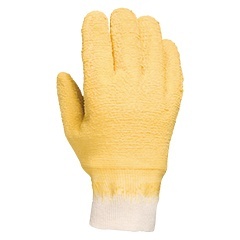 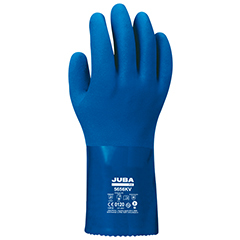 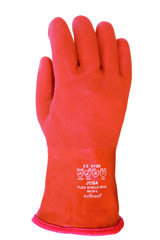 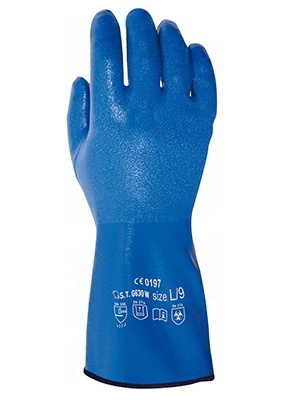 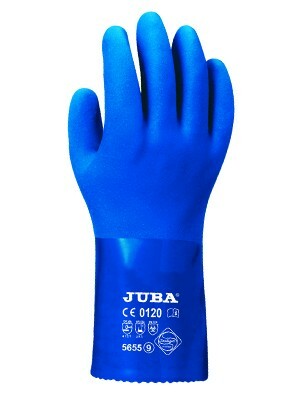 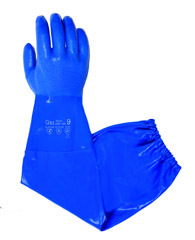 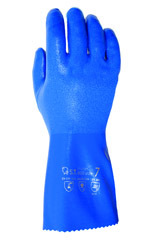 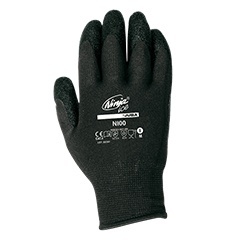 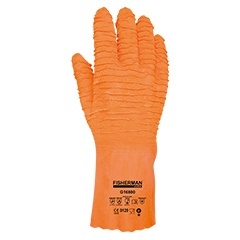 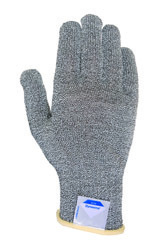 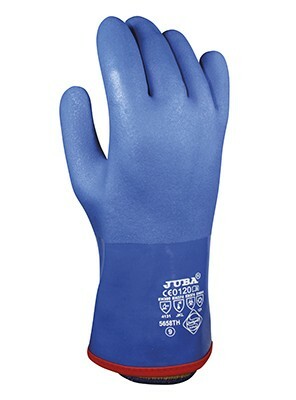 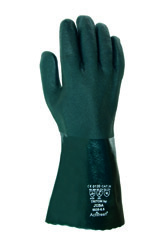 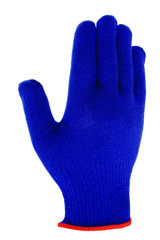 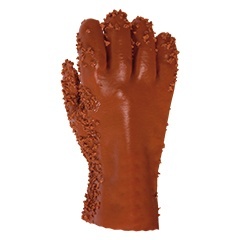 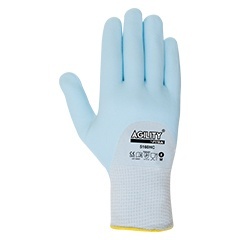 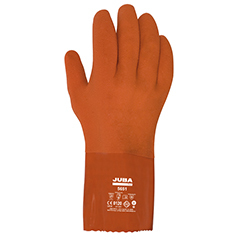 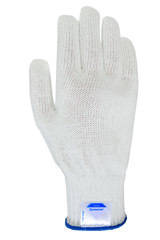 Unsupported nitrile glove 38 cm length. 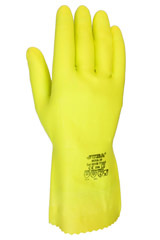 0,38 mm. 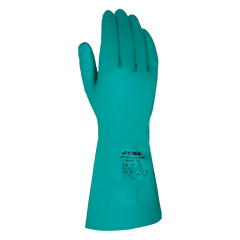 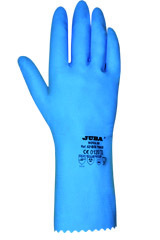 Thickness unsupported and unlined nitrile gloves. 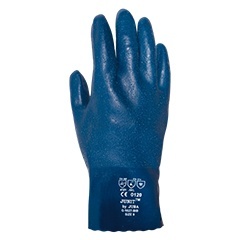 Cotton gauntlet coating in Nitrile.